is for talented students who are serious about pursuing their art in a university setting. Scholars are able to explore their artistic endeavors with UMBC’s internationally acclaimed arts faculty. Rigorous academics and challenging coursework prepare artists for success in multiple fields. A generous gift from Earl and Darielle Linehan supports the Linehan Artist Scholars Program. This is a four-year scholarship, for students who enter UMBC as freshmen with a major in the arts. The Linehan Artist Scholars Program looks for students who distinguish themselves both academically and artistically. Linehan Artist Scholars live and work in a nurturing environment that includes weekly seminars and frequent cultural excursions to develop creativity and success, inside and outside of the arts. UMBC provides a strong liberal arts education and is home to a faculty of composers, choreographers, directors, designers, photographers, computer artists, painters, filmmakers, video animators, art historians and performers who actively engage students in creative and analytical work. A first-year seminar course with the Director, Doug Hamby. Activities include frequent attendance at performances and exhibits, workshops with arts faculty and artists-in-residence at Baltimore’s Creative Alliance, digital story telling workshops, grant writing and making artworks to investigate significant ideas in contemporary art. Fall and spring trips to performances and important museums in New York, Philadelphia and Washington, DC. 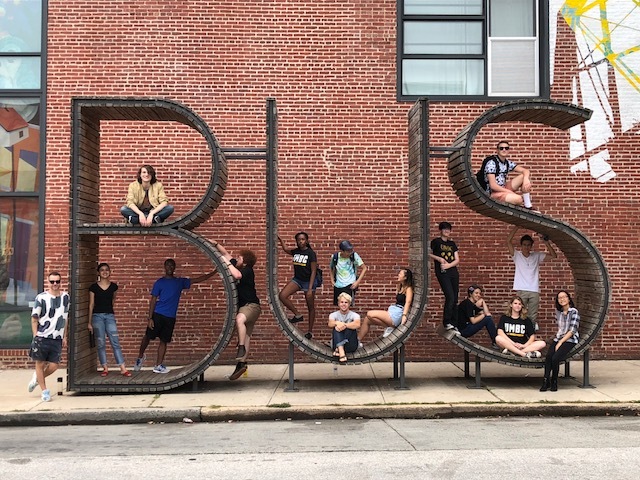 Recent trips have featured performances by the Philadelphia Orchestra, Ireland’s Abbey Theatre, Bill T. Jones Dance Company and exhibitions at the New Museum, Museum of Modern Art and the Barnes Collection. Research opportunities through the Linehan Summer Research and Study Award, the Undergraduate Research Award and the UMBC Study Abroad Program. Participation in faculty research with beautiful and stunning results. Linehan Scholars may also design an interdisciplinary major in the arts.